The Early Days of CETA - Inter Global Logistics Inc.
How big of a difference can one trade deal make? A pretty big one, if the last couple of weeks since CETA provisionally came into effect on September 21st! CETA (Comprehensive Economic and Trade Agreement) has been in the works between Canada and the European Union for years now, and it’s very exciting that we’ve entered the first stage of implementation. Although the tariff removals will occur over the course of the next five years, there has already been an 8% removal of tariffs on 98% of Canadian goods being shipped to the EU. 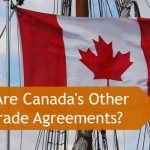 Just a few weeks ago, we took a look at how we believed that CETA would impact the Canadian shipping industry, along with how it would impact Customs Brokers like ourselves. Now that the actual agreement has gone into effect, what’s changed? Has there been any real impact on Canadian industry? So far, the impact has been huge for the Canadian seafood industry. Canadian hard-shell lobsters have always had to compete with American lobsters, which were generally offered at a lower cost (through also lower quality) item. Now that the 8% tariff has been dropped, Canadian lobsters are seriously being looked at by companies in countries such as Italy. CETA basically allows our seafood, much of which is considered by many to be the best in the world, to be sold at much more affordable prices. There are many companies who are willing to pay a little more for quality, and that 8% can make a huge difference when it comes to profit margins—and the plates—of discerning EU diners. 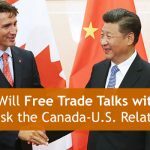 Another major result of CETA has been that Canada and the EU have finally settled their 21-year dispute over cattle. Brought before the World Trade Organization in 1996, the dispute began over the EU’s banning of hormone-treated cows, effectively blocking all Canadian beef exports to EU countries. In fact, hormone-fed beef exports was one of the major issues that negotiators had to work through while negotiating CETA. Canada wished to be able to ship 100,000 tons of beef per year while the EU wanted it to be capped at 40,000. Under CETA, Canada will eventually be able to export 50,000 tons of beef, along with 100,000 tons of wheat and 80,000 tons of pork. This is a perfect example of how CETA has helped both parties to come together with a sense of greater cooperation, to finally resolve the issue. Things are not entirely rosy with CETA, however. 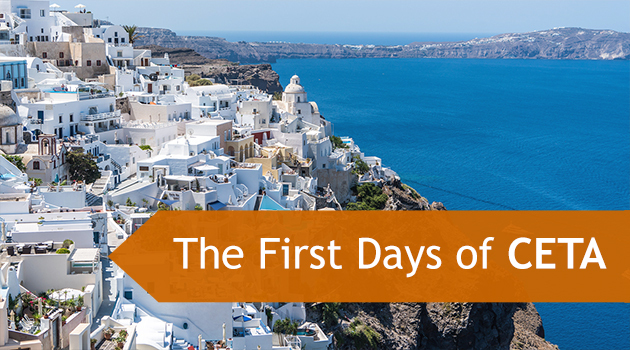 Many Canadian industries are still concerned about the potential impact of European goods flooding into the country, and others are worried about protectionist laws that have recently gone into practice in many EU countries. For example, in Italy, Canadian pasta now has to be labeled as such. This violates the spirit of the trade agreement, as Italy would be treating a Canadian product differently than the rest of the EU. Of course, these are still very early days for CETA and it will be years before we can entirely understand the impact that it will have on countless Canadian industries (including our own). So far, it looks like things are going well. If this trade deal is successful, it could spur further trade deals with other countries. There have been rumours that the Trans-Pacific Partnership could be making a comeback, with Canada leading the way. (And that would be without the US.) So who knows what could happen in the Canadian shipping industry in just a few years! 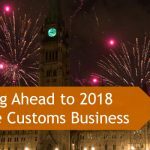 If you would like more information about Inter Global Logistics, or you would like more detailed information about how CETA is impacting the Customs Brokerage industry, contact us online, or give us a call at 1-647-428-6537, or toll free at 1-866-777-7556. Just ask for Sheldon or Ken!